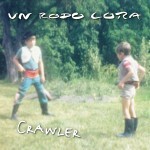 Just about to be released, “Crawler” will be the first single from Un Rodo Cora‘s coming new album Love thy neighbor. It’s a melodic feast and a nice taste of what’s to come. 17 August, 2016 in ARTISTS.